Patty is back from quilt market, and she's sharing a little quilt market treat with us just in time for your Memorial Day festivities! Of course the new Vivid Canvas is a perfect match, but any bottom weight woven will make a great casserole carrier. Casserole carriers would make perfect teacher gifts as well! 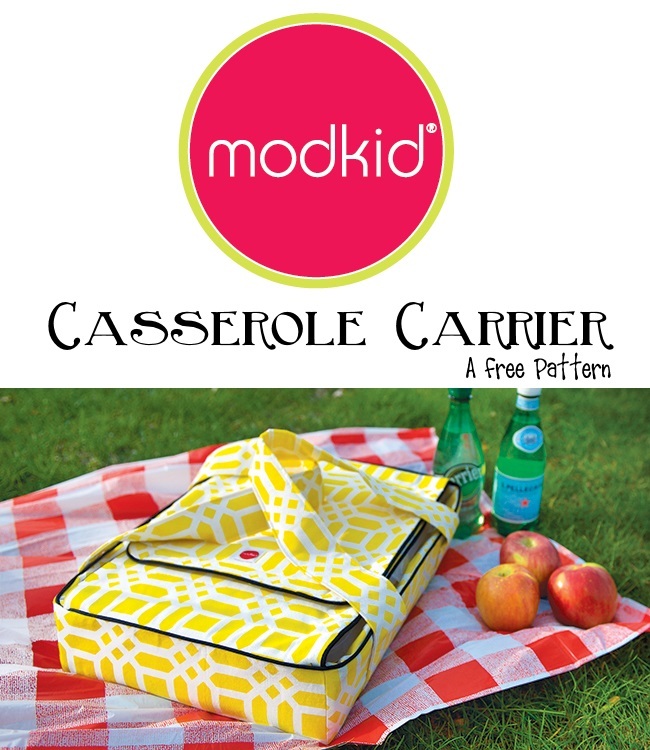 Grab the free Casserole Carrier Pattern. Thank you so much!! I can't wait to make myself one and a few for gifts! This is the best!!! Thanks so much, and I love the fabrics. What a nice, professionally done pattern, thank you. Those crazy commercial pattern companies want $18.95 for a casserole carrier pattern! Thank you! Can hardly wait to get started on this as gifts for next Christmas. the link to your free pattern is 404 not found? Thank you for letting me know. We recently changed the location of all our free patterns and I forgot to fix the hyperlinks. It is now fixed.